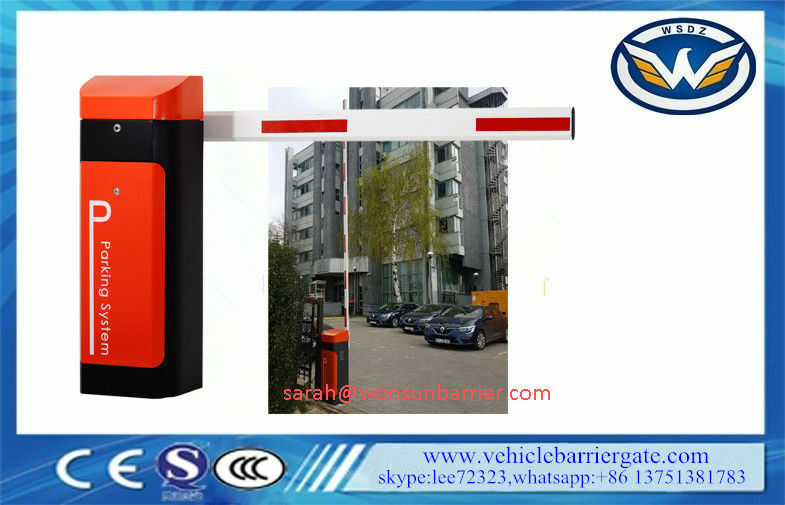 High Quality Barrier Gate Operator With AC Reliable Electro-Mechanical Drive. Intelligent. Advanced smart motor control system is combined with unique lever design to achieve swift arm movement that reduces bouncing at end position. motor uses lowest possible rotation speed (RPM) with our force rotation ratio technology to achieve high speed opening. This reduces mechanical wear and effectively eliminates any maintenance servicing on the motor. Improved air ventilation. New fan design located at top instead of sideways. This allowed cool air enter from bottom and exit from top to achieve more efficient cooling this enabling to support higher flow of traffic. Safe. Arm will auto-reverse when hitting an obstacle during closing. Photo beam can be added to autoreverse the arm ahead of time before hitting approaching vehicle or human. Arm will swing out during direct collision from front avoid arm frequently broken . Traffic light (red & green) can be added to indicate permission to pass through and further enhance safety usage. Built-in MCB to protect against any electric hazard. Heavy Duty. eliminates the use of mechanical limit switch thus reducing mechanical wear and tear. Innovative counter weight spring design avoids possibility of motor over-stressed and break due to high volume continuous open/close cycle. All these allow to work harder and work longer for you. Fast speed. 0.8 sec fast opening / closing speed allow more car to pass through faster thus effectively reducing congestion during peak hours. User Friendly. In the event of power failure, arm can be easily lifted up by insert a key from outside to unlock the clutch. There is no need to open up entire casing to avoid any vandalism attempt of internal parts. Easy maintenance. Epoxy powder paint will keep the unit looking clean and new for years. Damaged barrier arm can be replaced easily. AC based motor is stronger and maintenance free (no need to change carbon). Built in spring mechanism to counter balance arm’s weight allow for effortless motor drive and longer mechanical life span. Control panel Consist of advance intelligent microprocessor based board and transformer housed in a weather resistant plastic casing. It controls the operation of the barrier system. Casing is made from weather proof ABS plastic. 1.Professional staff answer your questions in English. 3.Supported by our professional engineers. 4.Special discount of our distributors or agents in their area. 5. Welcome you to visit our factory.